Read on-line for free here. 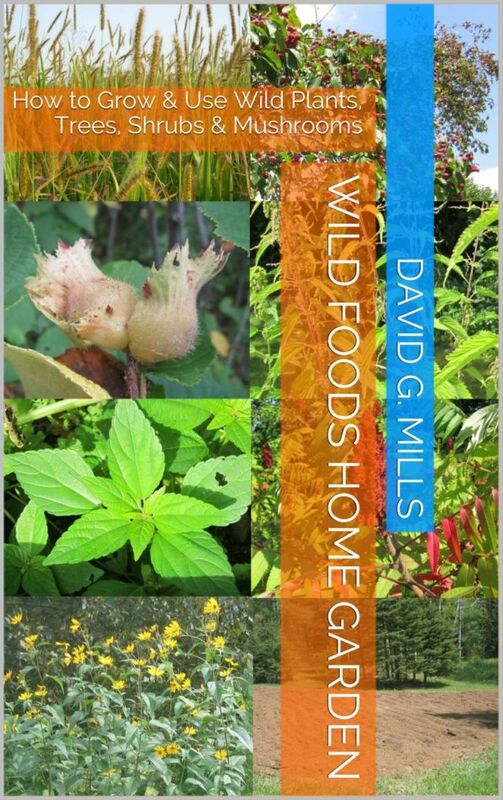 This is a book about growing wild foods at home in your garden. There are many excellent wild native and naturalized foods to be found in Eastern North America, but often they can be hard to find or you are not sure about the quality of the environment they have been growing in. Also, in many cases you are not allowed to pick wild foods from parks or private land, and there aren't a lot of other options around. Maybe you would just like to have the food available in your back yard without having to search for it, and have the peace of mind knowing the type of soil it was grown in. By having the plants at home, and being able to control the growing conditions, most often the quality of the food is improved. By having the convenience of it growing close to the back door, you are more likely to use them. Many wild foods are more hardy than conventional garden plants, and require less water and fertilizer making some of them foods of the future for areas where the cost of water is high. The book includes plants for greens and root vegetables. It also includes fruits & nuts, as well as mushrooms. Based on four and a half decades of wild food gathering and conventional gardening, as well as many years experience growing wild foods at home, this books shows you how to do it, keeps it simple as possible, but gives you a lot of information for making informed decisions on plant choices and how to care for them. Whether the plants are easy to grow and maintain or hard, I tell you. All the methods in this book are organic, and never require the use of chemicals. The book is divided into four sections. Plants for a full sun garden, plants for a shade garden, trees and shrubs, and mushrooms. Each entry has a full description of the plant, numerous links to outside web pages for further information, and what you need to know to successfully grow them at home. The soil type, soil pH, and the best site for each plant is given. Depending on the plant, growing by seed, by transplanting, buying from a nursery, and propagation by cuttings is discussed. For each plant you are told how to prepare the soil, take care of the plant each year, how and when to harvest, and recommendations on how to use the plants for food. The mushroom section is not for the advanced grower, it is for the person who would like to grow mushrooms at home for cooking and eating but does not know where to start and does not want to have to buy specialized equipment. This large book makes extensive use of both internal and external links to help with navigation and to allow for further research. There are 198 internal links and 3486 external links. There are 276 photos, diagrams and maps. Read on-line for free (Combined with Nature's Restaurant) here. 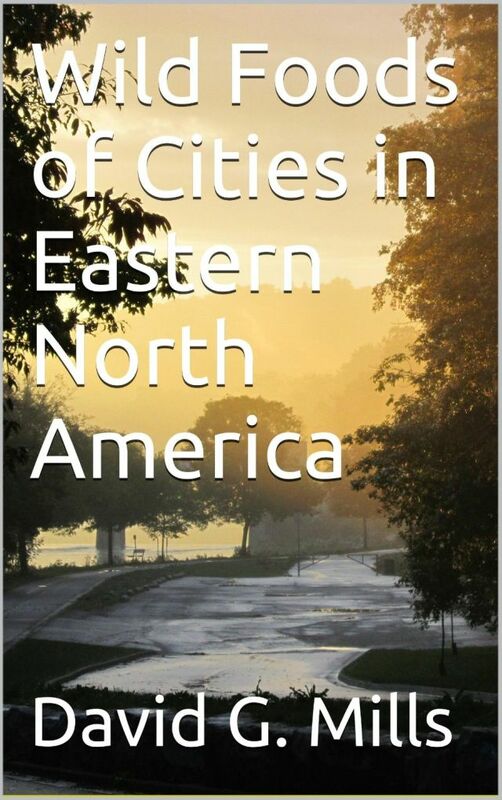 This is a book on the edible wild greens, roots, seeds, grains, nuts and mushrooms you can find in cities in Eastern North America. It is based on over four decades of experience, and about three decades of continuous research. Not just what you can eat, but what looks similar, and what you should know not to eat. This is a good book for the beginner to the more experienced who want to identify, learn about, and incorporate some good tasting and nutritious wild foods into their diet, that can be found in urban environments. It teaches you the basics of wild food hunting, how to identify dangerous plants, and even what plants not to touch. 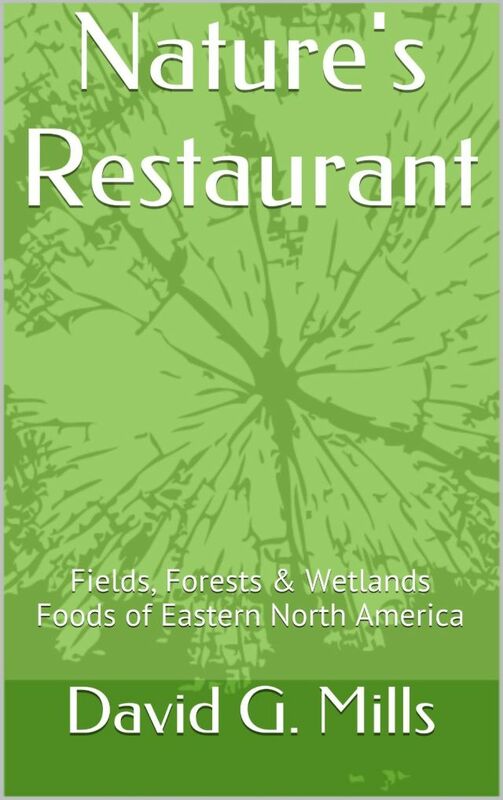 This book is based on "Nature's Restaurant: Fields, Forests & Wetlands Foods of Eastern North America", but this book focuses exclusively on what is available to be found in a city environment. Instead of being an electronic print text of a paper book, this is an attempt to make a new kind of book. It makes use of the constantly updated information available on the web, by use of 4,133 external links. When you see a highlighted and underlined word, click on it and it opens a new page in your web browser to show you pictures on Google or Bing Images, takes you to definitions on Wikipedia, shows you distribution maps or useful diagrams. Since this information is always being updated and new pictures being added, this book keeps up with that because it links you to the most up-to-date information. It is a large book with 322 photos, maps and diagrams, and 3,030 external links. There are also 461 internal links for simplifying navigation. In each entry on each plant it has the common names, the Latin name with a link, what to look for, the season to find it, where to find it, what might look like it, what you should be cautious of when gathering it, how to use it for food and how to cook it, a description of growing that plant at home or getting it started in a local field or woods, a description table for the plant, links to recipes, links to photos on the web, links to distribution maps, included distribution maps and some entries have photos or drawings included. The book is designed to work best on a device like a computer, laptop or tablet where you can read the book with the free Kindle for PC reader, and where there is a web browser. You can use it as well on a dedicated reader, but be aware, if there isn't a browser on the same device, the external links will not be able to open a page. Read online for free at: Nature's Restaurant Online. This is a book on the greens, roots, seeds, grains, nuts and mushrooms you can find and eat in Eastern North America from fields, forests, wetlands and even urban environments. It is based on over four decades of my personal experience, and about three decades of continuous research. Not just what you can eat, but what looks similar that you should know not to eat. This is a good book for the beginner to the more experienced who want to identify, learn about, and incorporate some good tasting and nutritious wild foods in their diet. Instead of being an electronic print text of a paper book, this is an attempt to make a new kind of book. It makes use of the constantly updated information available on the web by use of 4,133 external links. When you see a highlighted and underlined word, click on it and it opens a new page in your web browser to show you pictures on Google or Bing Images, take you to definitions on Wikipedia, shows you distribution maps or useful diagrams. Since this information is always being updated, and new pictures being added, this book links you to the most up to date information every time you use it. It is a large book with approximately 154,000 words, 392 photos, maps and diagrams, and the 4,133 external links. There are also 601 internal links for simplifying navigation in such a large document. In each entry on each plant it has the common names, the Latin name with a link, what to look for, the season to find it, where to find it, what might look like it, how to use it for food and cook it, information on growing that plant at home, a description table for the plant, links to recipes, links to photos on the web, links to distribution maps, included distribution maps and some entries have photos or drawings included. The book is designed to work best on a device like a computer, laptop or tablet where you can read the book from the free Kindle for PC reader, and where there is a web browser. You can use it as well on a dedicated reader, but be aware, if there isn't a browser on the same device, the external links will not be able to open a page. When creating this book, I wanted it be a cornerstone to exploring the wide world of wild plants and mushrooms. Think of it as a large center that you use to follow in any direction that your interest in wild foods takes you. Enjoy. 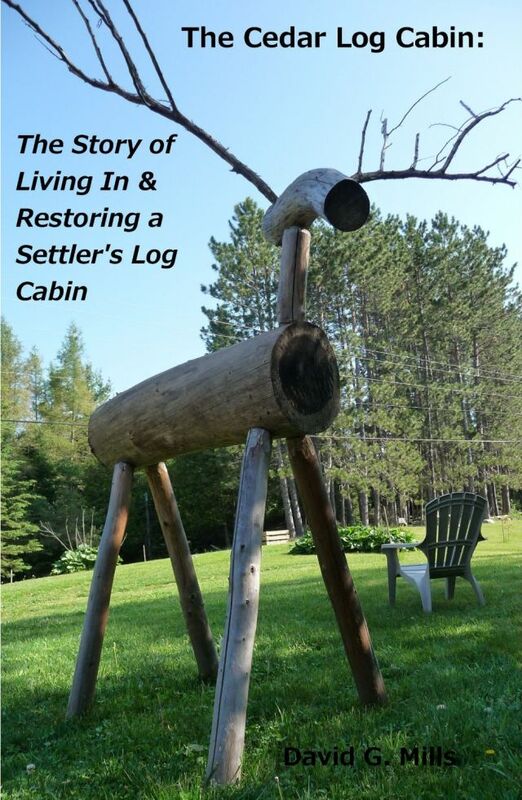 Read on-line for Free here: The Cedar Log Cabin. This is the story of the restoration of an almost lost settler's cedar log cabin, and the completely unexpected life that resulted from it.